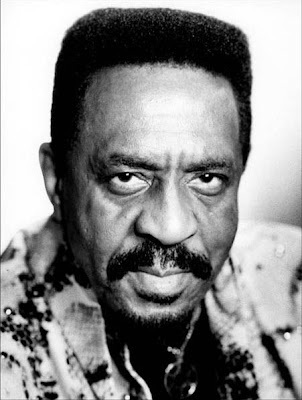 Ike Turner died yesterday. He was 76 years old. You cannot overstate his importance in the development of American popular music. "Tina is aware that Ike passed away earlier today. She has not had any contact with him in 35 years. No further comment will be made." What a bunch of crap. I don't care who this woman (or her 'publicist') think they are, but please! I can tell you this, The B side will be doing an extensive examination of Ike (and Tina's) music in the coming months... life is just too crazy right now, with Christmas almost upon us, to give this story the attention it deserves. But we will, I promise. Won't You Forgive Me?, Ike asked. Tina's answer to that question, quite obviously, is a resounding NO! I forgive you, Mister Turner. I suspect that she "thinks" she is a survivor of domestic violence who has no obligation to sing the posthumous praises of a man who beat and abused her simply so that the press can have its happy ending. "Sure, I've slapped Tina... There have been times when I punched her to the ground without thinking. But I never beat her." You might be able to forgive him, but it's extremely harsh to castigate Tina for not doing so. You weren't the one being punched to the ground. ...you are indeed right, my friend... and I am in no way making light of the domestic violence issues involved here. All I am saying is that this titanic figure that lifted her up, gave her equal billing, and in so many ways made Tina Turner (as you may have noticed, she still has no problem using his name) the star she is today deserves better treatment in death. In my opinion, her comment (or lack of one) was a classless and low thing to do. Give this man his due. There's plenty left over for Ms. Turner. 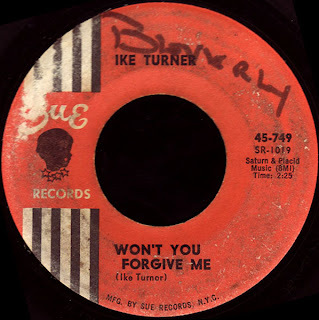 I hope, though, Ike Turner will be remembered mostly for his contribution to music. Given all the negative things she has said about him in the past, it would be hypocritical of Tina to suddenly come over all gushing in praise of Ike. In my view, her statement is a dignified way of saying that her feelings on his death are her own business and not the media's. He was a great musician. It's getting very crowded over in Soul Heaven. (First of all, Red, I'm the author who deleted his response twice ... I guess I'm editing on the fly.) I've read all of these comments and I follow both lines of thought. The fact of the matter, though, is that Ike did help make her the star she is today. Although I understand the paradox that would exist were she to "sing his praises," her response ended up being curt and just fuel for the media, which appreciates the What's Love Got To Do With It story far better than any critical examination of art. Oh, and one more thing - for Tina to say that she hasn't spoken to Ike in 35 years is petty and also inaccurate. 35 years ago (December 1972, for those of you who had to stop and do the math like I did) they were working together, and they were still married. Maybe it's part of the "royal we" attitude that Tina has cultivated over the last couple of decades. If you are on the Yahoo! Southern Soul group, read Steve Leigh's reminisces of Ike (this is from someone who worked with him), and read his comments on how people have downed him since his death. It's strong reading. No problem, Jason... I'm a big 'on the fly' guy myself. Yes, I certainly can see both sides of the issue as well, but a cheap parting shot on Ike's way out the door is not becoming to a 'star' of her magnitude, in my opinion. Check it out. Strong reading indeed! Thank you for linking to Ike's page on my site. Tina has not been completely honest. I cut their last 4 songs with them in 1975. Ike was never legally married to Tina. When the explosion occurred, (it happened in Dallas by the way, not Las Vegas), the Ikettes formed a group called "Silver, Platinum, and Gold" within weeks. I played keyboards with them for awhile, too. 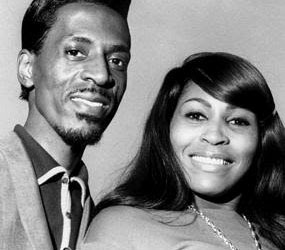 I worked for Ike and Tina at Bolic Sound in 1972 and love and respect them both. Ike did bring so much more to our music culture than post people know. He was a musical genius. Ike taught numerous musicians how to play their instruments better, singers how to sing better and people how to be better people. He had a kind heart and he will be missed by lots and lots of people. The past is the past, let it go already! Although I tend to separate person and artist, it was hard to do it when I heard the news. Her response, as other posters have already mentioned, was dignified, taking into account the domestic abuse she was submitted to. This is the first time I've come to your blog (came via The Guardian, in dear ol' Blighty) and I love the fact that someone out there is trying to keep this music alive. I too came to this site via The Guardian and while I'm mad about the music your showcasing I've found something really distasteful in the attempts here and elsewhere to rehabilitate Ike Turner by denigrating Tina. The 2 page tribute by Steve Leigh is just one example. As if the fact that Tina interrupts a recording session or that Ike buys her expensive dresses somehow justifies his violence toward her. Throughout his account of the Ike and Tina years she sounds like she's trapped in a cage, a gilded one admittedly at times, but a cage nonetheless. The attack on her musicality around Nutbush City Limits is wide of the mark too - Tina has never made any claim to be a songwriter but to assert she wouldnt know what key the song is in is just beyond belief. anyone who has seen her perform live knows there she's a source of profound musicality. and just how much has her voice improved over the thirty years since she left Ike when those of most contemporaries has suffered decline (Aretha, Dusty, Dionne). Just because Mr Leigh didn't witness the abuse doesn't mean it didnt happen. Bill Wyman, Gladys Knight, PP Arnold, Cher have all testified to the abuse she suffered - there's a harrowing eyewitness account from Etta James in her memoir (Rage to Survive) of one such incident. By all means let's hear of Ike's musical achievements but let's not deny the anguish he inflicted on Tina. And in refusing all public comment on Ike's death I didn't see that as a lack of class on Tina's part, I saw it as an act of grace and dignity which is typical of the woman. Its a pity that Ike, and those who still deny his actions, are so lacking in such qualities. So, i've just watched a film about Tina Turner, and Ike. I then looked around on the net for info on this jerk, and came to this page. I am not convinced by big-stretch comments of people trying to impart that he was a loving man, nice try. Tina Turner has what feels like no obligation to ever look back to a man who threatened her life, on probably more than one occasion. She has an incredible life force, and that is why she is what she is, not because of a caustic and primal, musically talented, ape. IKE TURNER ROT IN HELL!!!!!!!!!!! Tina left with NOTHING and YET, came back and Made herself show to be the STAR she was and ALWAYS WILL BE and she EARNED her stage name, She had EVERY right to KEEP it!!!!!! She owes NOTHING to this scum!!!!!!!!!! She would have been a MAJOR star without his sorry @ss!!!!!!! She made him more famous than he ever deserved to be!!!!!!!! I've read these comments and I am SHOCKED at some of these attacks on Tina. 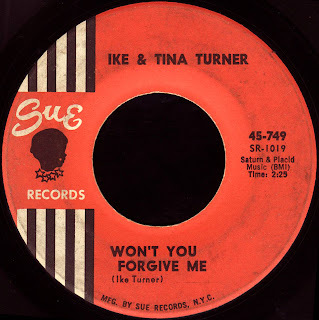 Musically Ike & Tina were among the best. Waaaay ahead of their time. I attribute that to Ike's musical genius AND to Tina's soulful distinct voice. Since their divorce, Tina has ALWAYS given Ike his propers when it comes to music. It's the press who chooses to focus on their rough marriage, not her. But at the same time that's nobody's fault but Ike's. HE abused her. Not the other way around. I've read many autobiographies from Etta James, Gladys Knight, Darlene Love to Bill Graham (owner of the Fillmore theatres), & Quincy Jones... and ALL have spoken about the abuse. Even IKE TURNER HIMSELF spoke of beating her (only to turn around and say he didn't....Go figure.) And let's not forget it was more than the physical abuse. He was cheating on her left & right. Subjecting her to constant humiliation and shame. Tina is a lady who tried to kill herself to escape the hell he was putting her through.... and some of u EXPECT for her to sing his praise in death? Gimme a break. We're lucky she said anything at all, because she really didn't have to. And the statement released was much more kinder than it could've been. Let's enjoy the music they made together and leave all the other stuff aside. Because none of us can really speak on how they're "supposed" to feel for each other.